1964 Morgan +4+Coupe: One of just 26 examples ever produced, this gorgeous, unique little car is expected to fetch between $180,000-$200,000 and looks like a million bucks. By coincidence I was chatting with Dennis Glavis, owner of Morgans West (in Santa Monica) a few weeks back, and the car was there being readied for sale: it's stunning, and you’ll likely not see one available again for a long, long time. 1965 Aston Martin DB5: There are some cars I just never tire of looking at. The DB5 is, of course, the conveyance of choice for James Bond including the most recent flick, “Skyfall,” which ended with the beauty (the car, not Daniel Craig) being blown to smithereens. Values for Astons in general and DB5s specifically have been steadily climbing, and I would suspect within year or two, cars like this will be close to $1 Million. This example could be yours for an estimated $650,000-$750,000. 1967 Jaguar E-Type Series 1 Roadster: Prices are heading up for these quintessentially English sports cars, too. Earlier examples like this have the purest forms, before the bumpers got bigger and the cars gained weight and visual heft. Estimate: $110,000-$130,000. (I'm fairly sure the couple in the background is not included in the sale). 1954 Chevrolet Corvette: The personification of the American dream, few cars of this vintage are as fast, usable and gorgeous as this. How could you possibly go wrong? Estimate: $60,000-$90,000. 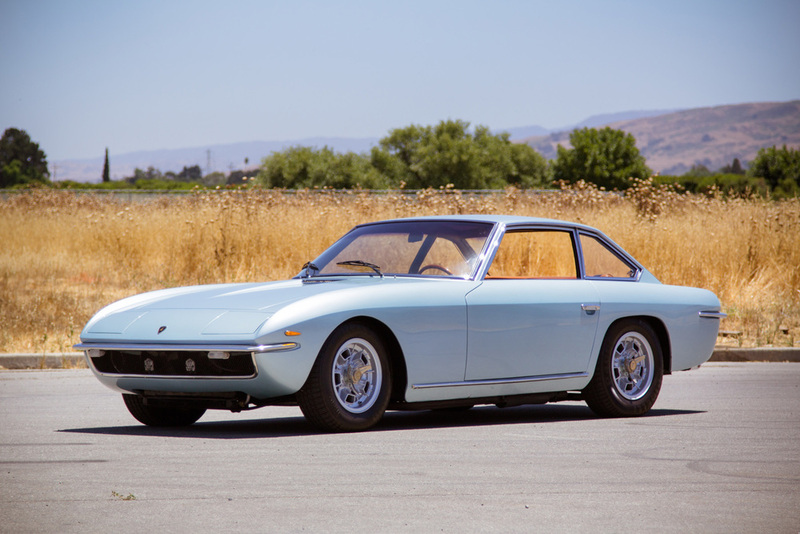 1968 Lamborghini Islero: A fast, chic, understated and still largely unknown 2+2 Coupe. Gooding & Company has sold a number of these over the past years at Pebble Beach, and prices are going up, with this example estimated at $225,000-$275,000. CLICK HERE FOR VIDEO: To see the Islero in action, check out this compilation from 1970’s “The Man Who Haunted Himself,” which also stars Roger Moore who’s less convincing in his role than the car. 1961 Mercedes-Benz 220 SEb Coupe: Values for the convertible variants of these chic coupes went through the roof about five years ago. While the Coupes (Susan Sarandon drove one in "Thelma and Louise") won’t likely reach those same heights, they are certainly heading North of the $65,000-$85,000 estimate for this one. 1962 Ferrari 275 GTB/4 S N.A.R.T. 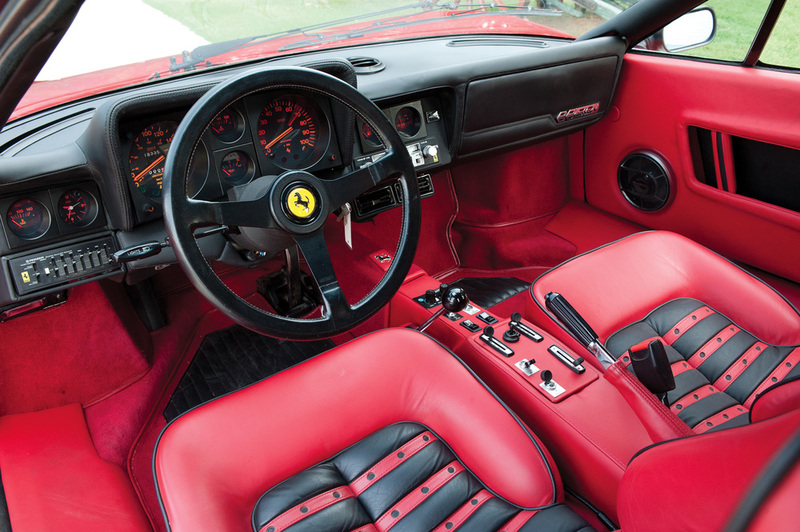 Spider: This is one of the most eagerly anticipated sales of the week and, if it breaks the $16.4 Million mark (proceeds are going to charity), then it will set the record for the most ever paid for a Ferrari at auction. Estimate: $14-$17 Million. CLICK HERE FOR VIDEO: Check out this stunning video by Petrolicious to see and learn more. 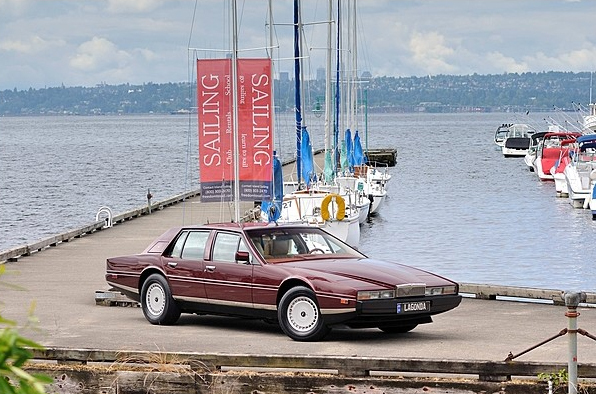 1986 Aston Martin Lagonda: I will own one before I die. Period. It looks like nothing else in the world, and nothing else in world (except maybe a Citroen SM, for which I also lust) is as unreliable and mechanically flawed. Elizabeth Taylor had one and damn it, I want one, too. (Mecum hasn’t offered an estimate, but I would guess $30,000-$45,000). More reports from the ground to follow!